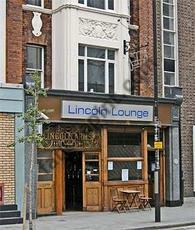 Discovered the Lincoln Lounge some 5 years ago -allways enjoyed my visits. Great layed back feel. Not a real ale haunt but good lagers. The rough edges have been smoothed out over the years (a bit like the area) but still maintains a chic charm. I have no idea what pub 'The Publishers' went to but it obviously wasn't the Lincoln Lounge! I've been to A LOT of pubs in London and this is one of my absolute favourites. If you want a proper pub feel with great music and quirky but cosy decor then go here. If you want a quiet drink that turns into quite a few more than 'just the one drink' go here. It's the sort of place you'll feel so relaxed in that just one drink isn't enough! But in my experience it's also somewhere that you might go for a quiet drink with one friend and a few hours later find yourself dancing away with staff and fellow pub goers alike who have all suddenly become your best friends! Fast and friendly service, great location, great atmosphere, great pub! I have been here loads of times and always had a very good time, I find the manager brilliant and realy friendly as with all the staff. Yes there are not that many Ales there but I'm sure that is something that could be worked on if you asked about it !! I highly recomend this place if your in Kings Cross its a one of those places that is either realy relaxed or has great music playing !! Oh my... What has happened to this lovely bar. Where is Steve lee on my Friday night? Where is the good music? Where is everything it once was? Christ - what a rubbish difference... and what rubbish service from so called manager - Total Irish rudeness!! I only asked for a chair?!! Thank god the lovely young lady is still there.... But that's it. It's become a hole for old drunk men and women. Most of which are the manager's friends - Ewwwwww!!! I really miss the great music - I miss all the locals - I miss Steve just being there - He's always been there and his lovely friends from the dance place - IT JUST DOESN'T FEEL RIGHT ANYMORE!!! WHAT THE HELL HAVE YOU DONE!!! YOU HAVE KILLED THE BEST BAR IN KINGS CROSS!! I'm off to find where Steve is playing now... I sincerely hope it's in Kings Cross.